Hello, We have for sale just 3 remaining Springador Boy Pups from a litter of 7 born on our little farm on the edge of Nottinghamshire. Mum Is a fully Health Tested, KC registred Springer Spaniel from a strong working pedigree , she lives to please and is very intelligent, she is like a little antidepressant, 5 minutes with her can make the worst day feel better !! 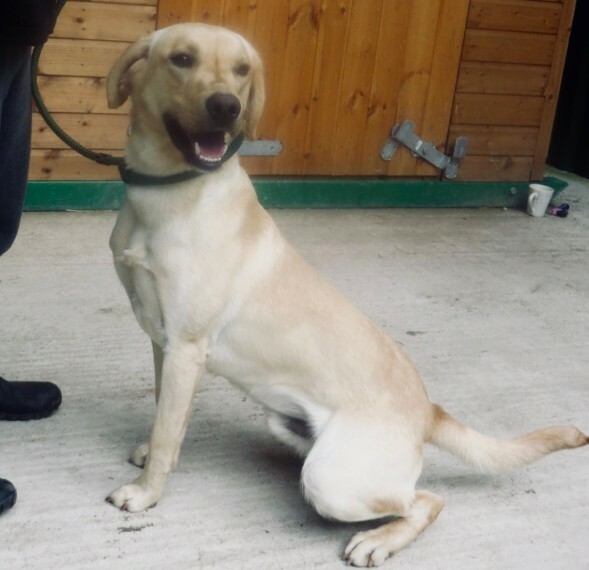 Dad is a pure kc registered yellow lab also from a strong working pedigree and was professionally trained as a working gun dog in his earlier life , he lives one county over and is a lovely fast strong lab just what we wanted for this planned litter. They are all black with some white markings on their chest or feet and as a result we have had to buy a microchip scanner to ensure each pup leaves with the correct paperwork for the individual microchip (they are that hard to identify) They are fast, chunky and healthy little runners, and will be ready to Go to their new homes in just a couple of days. They have been reguraly wormed and treated for any potential Parasite, plus vet checked when they where microchipped. They are kept in a centrally heated room All of there own in our home , no expense spared, if they needed it we got it , the whelp box alone is custom made and cost over 400.They will make handsome, active and smart pets or working partners. They have been fed a very good quality dried diet and will get a supply of food to take away to their new homes for continuity. Don?? hesitate to contact us on the number or email provided. We will be happy to provide any information or to arrange a viewing .